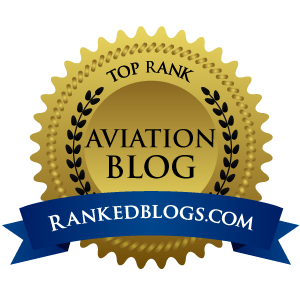 This article was originally published in the September, 2011 issue of Airplanista Magazine and can be viewed here. 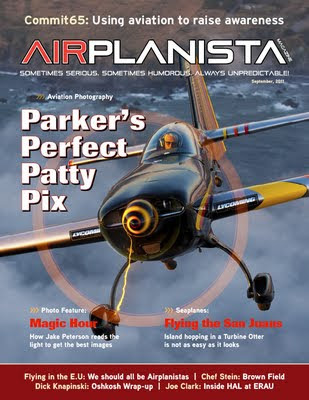 Airplanista Magazine is an all-digital new media publication that presents aviation feature stories and content in a digital magazine format. Read the current issue here. Operating an airline made up mostly of seaplanes in the Pacific Northwest means having capable, powerful airplanes flown by pilots who can read the water and weather instinctively. Seattle’s Kenmore Air has both. Ride along on an island hop in a De Havilland Turbine Otter and see what it takes to fly a commuter run in one of the most scenic parts of the country. Each time I travel on business or pleasure, I always try and find something to do for fun that involves airplanes. A trip to Seattle would be the perfect time to watch “flying” fish at Pike Place Public Market or tour Boeing’s Everett factory. Not long ago, I found myself standing on the Marriott Residence Inn’s balcony overlooking Seattle’s scenic Lake Union, when an unmistakable sound began reverberating across the marinas below. What made me grin widely was the wonderful sound of a large radial engine pulling a beautiful yellow and white De Havilland Beaver seaplane off the lake. To me, it was like going to the symphony. \The seaplane belonged to Kenmore Air, which offers scheduled service to Victoria, B.C. and the San Juan Islands from Seattle. Intrigued, I called and told their dispatcher I was a pilot eager to take my first seaplane ride and write about the experience. Their dispatcher found a way to slip me into the right seat of their afternoon multi-stop run from their busy Lake Union Terminal to Friday Harbor on San Juan Island and then on to Deer Harbor and Westsound on Orcas Island. It was one of the most awesome trips I have made by air, ever. Kenmore Air was started in 1946 and flies an eclectic fleet made up of piston Beavers, Caravans and turbine Otters, which would be our ride on this trip. I had many pre-conceived notions about what flight in a seaplane would be like, and all were proven incorrect. My pilot for the ride-along was Kenmore Air’s Chuck Perry, a capable seaplane driver who began flying floatplanes over 30 years ago in Alaska. Pre-conceived notion #1 was obliterated when I assumed Perry would prefer to be called “Captain”...since a seaplane is really just a boat/plane hybrid, but he politely told me he prefers to be called Chuck. Pre-conceived notion #2 came when Chuck lit up the 750-shp PT6 hanging on the Otter’s nose. Since he had done this start-up procedure about ten million times before, he could have easily done it blindfolded. Calmly, he brought up the power, pointed the nose to the middle of Lake Union where there were no sailboats or megayachts, and sent the throttle to the forward stop. With just three passengers and no luggage on board, Otter November Eight Seven Kilo Alpha was on the step in seconds and off the water in about half the distance I expected, wiping out my pre-conceived notion that seaplanes take forever to achieve flight. Turns out that seaplanes with really large jet engines hanging on the nose get up on the step and are flying in about the length of three really fine Halibut laid end-to-end. Level at 2,000, I watch Whidbey Island slip by under the right wing before we head out over the Straight of Juan de Fuca. This is Pacific Northwest scenery like you cannot imagine, with small, tree-covered islands off on the horizon, and gorgeous waterways split down the middle by the occasional wake of a container ship. Soon, I see Chuck start pulling back power, and a look at the Garmin 430 reveals that Friday Harbor – our first stop – is coming up on the left. Our winds are light and from about seven o’clock, so Chuck drives the Otter straight at the gut of Friday Harbor, trims for 80 knots, and floats in for what I thought was a greaser arrival...if it’s even possible to grease landings on the ocean. But apparently Perry missed “one small wake” from a boat, and that tiny bump forced him to call it “the worst landing ever.” It was about five times smoother than I had expected, ripping a huge hole in pre-conceived notion #3 that a seaplane landing on ocean water would be rough. We slowly taxi towards the Kenmore dock, and I notice it is deserted. Where is the “ramp” crew...the guys who will tie the plane down? As we get within a few feet of the dock, I remember thinking that we were coming in way too hot, but since all my pre-conceived notions about seaplanes so far have been wrong, I sat back and watched what turned out to be quite a show as Chuck performed a docking maneuver only a seaplane pilot with the legs of a twentysomething could pull off. Here is the drill for parking a turbine Otter at a dock by yourself: Keep up enough speed through the water to allow authority to the water rudders. Lose that, Chuck warns, and the gigantic tail of the Otter will catch even a tiny amount of wind and weathervane the plane out of control. As you near the dock on the left side, kick in lots of right rudder while pulling the prop to reverse pitch. This puts the plane into sort of a powerslide towards the dock, but wait...the fun is only just beginning. As our boat with wings glides swiftly towards the dock, Chuck pops open the left pilot’s door and vanishes down the side of the wet airplane in a graceful move that if all goes well, will end with his feet planted firmly on the dock. At this point – for about three seconds – the Otter is free of any control, gliding along the dock, pilotless. I soon find out what those long ropes hanging from the wings are for...they’re what Chuck grabs as the Otter’s wing moves over his head. Like he has done so many times before, he reins the Otter in, firmly tugging it back to the dock. A blur of his experienced hands wraps a tiedown rope to the float...and we have arrived. After boarding three fares and their luggage, our pilot went through the obligatory safety briefing with about the same excitement that you get from the flight attendants on the big airlines. Doors, seat belts, escape hatch, earplugs, yada, yada, yada. Basically, don’t be the idiot that pulls the red handle on your life vest inside the plane or the people stuck behind you will have to slap you silly. As we were loading souls and Samsonites into Otter Eight Seven Kilo Alpha, the Friday Harbor to Seattle ferry boat slid by outbound. We will pass up this particular ferry boat an hour later as we return to Seattle in the Otter, proving that the De Havilland is a much more efficient island hopping machine then a large, slow boat loaded with cars and people. The short flight over to Deer Harbor was a non-event, with Chuck gaining only enough altitude to keep from scaring any fish. Landing in this scenic port was also without surprise, until we tried to taxi into the dock where two more fares were waiting. Since the Otter makes a nice wide swing to the right towards the dock, it helps the pilot to have a healthy amount of clear water to swing that spinning prop around. But as we s-l-o-w-l-y taxied in, a sailboat was attempting to sail somewhere, directly at our twelve o’clock. The trouble was that Chuck wasn’t sure where they were going to aim their bow. Would they sail right into our path, or drift left? As the Otter crept closer, Chuck was verbally making up “Plan B”, which was to swing wide right of them, then hook it back left and then hard right to begin the docking dance. And that’s the way it came down, too, a non-event that was handled well by a guy who had obviously done this a few times before. So much for pre-conceived notion #5. With a couple more fares strapped down in back, we gently taxi out of Deer Harbor on water as smooth as glass. As the dock slips farther away, Chuck brings up the power, drops the yoke into his lap to get the Otter up on the step, and in moments, the fish get smaller as we begin a shallow climb. The reason we are not nose high and climbing like a homesick angel is that our next stop – Westsound Seaplane Base – is just one tiny island away. The short hop over to Westsound takes you over some of the most scenic islands imaginable. The sun was now beginning to hide behind the Olympic Range to the West, and reflections gleam off the calm waters below. We arrive without so much as a splash dead in the center of West Sound, and taxi in to pick up enough people to fill the Otter’s seats. Again, Chuck drives the nose towards the dock, rips it hard right, jumps out, and manages to catch the wing rope as it meanders by. I am now convinced that it could get pretty messy when a rookie tries to learn the intricate seaplane docking maneuver because to my untrained eye, there sure seems like there is lots to go wrong here. Maybe that is why the dock is lined with tires? Now with all the seats and aft baggage hold full, Chuck and the Otter must work a bit harder to get on the step and in the air. With full power, our pilot yanks back on the yoke, but must hold it there maybe four seconds in order for the Otter to get up on the floats. Once the step is assured, Chuck moves the yoke forward, but wrestles with the Otter a bit coaxing both floats to leave the water simultaneously. He throws in full left aileron to correct whatever he was feeling wasn’t right with the floats. I am amazed at how keen this pilot’s seat-of-pants flying must be, and can only imagine the rodeo this max gross weight takeoff might be in choppy water and vicious winds. We lumber off westbound, into a sunset that is truly a photographer’s dream. As the last beams of a late winter sun bounce off the many inlets, sounds and bays at our twelve o’clock, I am snapping images at a fast pace. With the winds at 2,000’ msl out of the east at maybe 25 knots, Chuck chooses to make the return trip to Lake Union at 500’ AGL. He tells me that Kenmore’s pilots put safety first, and often times will not fly when the winds are too strong or too variable. I also get the feeling that it wasn’t the case way up in Ketchikan where this capable pilot learned to fly floats. Up in Alaska, he tells me with grin, they’ll fly through just about anything. We soon sneak up on Seattle, and I pick out Lake Union, which looks small from 20 NM out, sandwiched right in the middle of town. I am feeling that we are really high on the approach path as Chuck pulls power and follows the I-5 freeway down to final. As we descend, I remember thinking the lake is really NOT getting any bigger. On short final, Chuck scans the water for floating traffic, mentally calculates the course of each moving boat, and picks out a nice fat corridor to set down the Otter. With barely a splash, we arrive, the sun’s last remaining rays teasing us as they reflect off the high-rises of downtown and the Space Needle, which dramatically dominates the Seattle skyline. As we taxi to the “gate”, we pass another outbound Kenmore Beaver with a round engine about to pour on the coals and depart. With my ride-along concluded, I thank Chuck for a job well done. It was a scenic ride I will never, ever forget, one I recommend highly to anyone who visits Seattle. 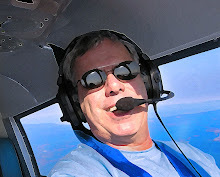 If you love airplanes, you MUST book a scenic flight with Kenmore Air, you will not regret it. Or, if you want to leave troubles behind and sneak off to the San Juan Islands for a little R & R, flying there by seaplane will be an exciting flight through a very beautiful place.